What is the new fuel consumption test? The Volkswagen emissions test cheating scandal, christened ‘dieselgate’ by someone with too much NOx on the brain, has brought the issue of testing back into focus. But in reality the inadequacy of the current test, called the New European Driving Cycle (NEDC), has been known for years. Our Real MPG ratings demonstrate this time and again, regularly showing that a car’s real-world fuel economy and its official rating can be miles apart. 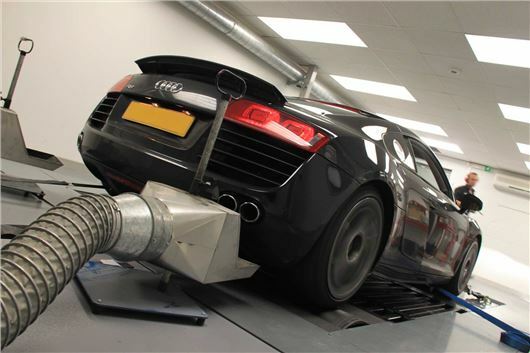 Aware of this, the United Nations Economic Commission for Europe (UNECE) set about concocting a new, more realistic emissions test for new cars way back in 2007. It set up the World Forum for Harmonisation of Vehicles Regulations, which during consultation with car manufacturers, motor industry bodies and the UK Department for Transport (DfT), initiated the Worldwide Harmonised Light Vehicles Test Procedure (WLTP). The WLTP is expected to replace the current NEDC emissions test in 2017, bringing with it fuel consumption ratings more akin to real world driving. That's the theory, anyway. Every new car will still be tested in a laboratory – ie. on a rolling road – but the parameters will be closer to real world driving conditions, involving higher speeds for longer yet less regular bursts. The current test requires a car to drive through an urban cycle (part one, below), accelerating then decelerating to idle a certain number of times, to a maximum 31mph and averaging out at 12mph. The extra-urban cycle (part two) has an average 39mph speed and a peak 75mph, over a shorter distance. Combined they cover just under seven miles and take 20 minutes, and the measurements for each are used to calculate an average – the car’s official average fuel consumption figure. The WLTP will take place for longer and at higher average speeds – 30 minutes with speeds up to 40 per cent higher across the board, and with four cycles measured rather than just two. Those cycles are called low, medium, high and extra high, with top speeds of 35, 48, 61 and 81mph respectively. The acceleration and deceleration patterns for each cycle are far less uniform than they were before, and more frequent, in an attempt to better mimic real life. The medium cycle is shown below. Clearly any fuel test would be better conducted out on actual roads, but for simple reasons of fairness and consistency the WLTP will stay indoors. It means parameters like air pressure, temperature, rolling resistance and acceleration are stable from car-to-car. The new test will still yield data more suited to comparison than reality, but in theory it will show mpg results closer to those we all achieve. The WLTP report includes a separate procedure for testing fuel cell and electric vehicles, which will include measuring for alternative air pollutants like ammonia and formaldehyde. Because the UNECE report states that "most manufacturers produce vehicles for a global clientele," the WLTP aims to become a global standard testing procedure - today's NEDC cycle is, of course, European only in scope. Ending the disparity between CO2 tests worldwide should save manufacturers money by negating the need to adapt engines from market-to-market, be it for tax or regulatory reasons. With UK Vehicle Excise Duty (VED) based on CO2 emissions, it’s not yet clear what the tax implications will be once the WLTP is standardised from 2017. Average mpg ratings will, presumably, become ’more realistic' – worse, in other words, which will lead to higher VED payments. This could have an especially significant effect given that VED rules are due to change in 2017. The DfT has declined to comment on this issue.